Who's Next In Line For A Kidney Transplant? The Answer Is Changing : Shots - Health News The nonprofit in charge of distributing organs wants to revamp the system for distributing kidneys for the first time in 25 years. But some transplant specialists and bioethicists fear the changes could end up discriminating against some patients. Surgeons transplant a kidney in 8-year-old Sarah Dickman at Children's Healthcare of Atlanta in 2008. The proposed changes in the transplant list attempt to maximize kidney life in young patients. There's some big news out today about one of the most sensitive issues in medicine: Who's next in line for a transplant? The United Network for Organ Sharing, or UNOS, a nonprofit in charge of distributing organs, wants to revamp the system for distributing the most sought-after organ — kidneys — for the first time in 25 years. "We're now faced with very long waiting times for kidney transplants that are worse in certain areas of the country than others," says John Friedewald of Northwestern University, who chaired the UNOS committee that developed the proposal. 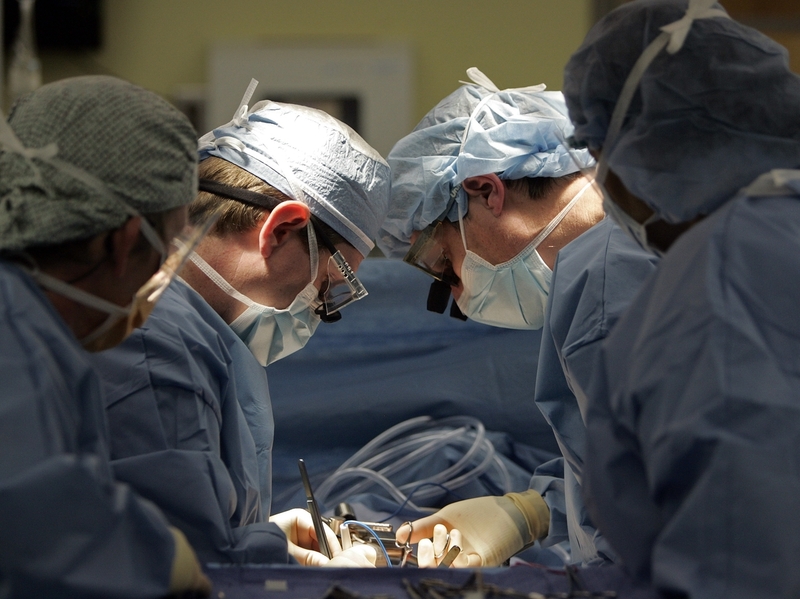 The number of Americans waiting for organ transplants has risen dramatically. More than 115,000 are now on the list, including 93,000 who are waiting for kidneys. Right now, kidneys are given out mostly on a kind of first-come, first-served basis — those who have been waiting the longest tend to get first dibs whenever a kidney becomes available. But that can create problems, Friedewald says. "We aren't maximizing the life benefit from the existing kidney transplants that are available out there," he says. That's because kidneys from young, healthy people can end up in elderly, frail people and vice versa: relatively young, otherwise healthy recipients get kidneys from sicker, older donors. * A transplant candidate eligible to be considered for organ offers at a given point in time. Some transplant candidates are temporarily classified as “inactive” by their transplant center because they are medically unsuitable for transplantation or need to complete other eligibility requirements. "We don't want to necessarily give a kidney that may last 40 years to someone who is expected to live five more years. We think we can match people in a better way to maximize the outcome from each kidney," Friedewald says. So UNOS is proposing several significant changes. One of the big ones is this: The 20 percent of kidneys that would be expected to last the longest would go to the 20 percent of recipients expected to get the most years out of each organ. "This has several benefits," Friedewald says. "No. 1 is we realize many more life years lived with each kidney transplant. As those people can live longer and longer with those transplants. But also and probably more importantly we decrease the number of people who then have a kidney fail while they are still alive and need to return to the wait list." That, Friedewald says, would make the kidneys that are available for transplantation end up saving a lot more lives. The proposed changes are being welcomed by some transplant experts. "I think trying to favor 'Save the most lives, save the most years of life' makes good ethical sense," says Arthur Caplan, a bioethicist at New York University. "It makes make good medical sense." But not everyone agrees. Some transplant specialists and bioethicists say the changes raise a lot of concerns. One worry is the formulas the network would use to decide which organs and which recipients are in that 20 percent. "The score they use is going to be wrong upwards of 30 to 40 percent of the time, which is pretty close to a coin flip," says Benjamin Hippen, a kidney transplant specialist at the Carolinas Medical Center in Charlotte, N.C.
Others fear the changes could end up discriminating against some patients. Age is one major factor being used to determine who makes the cut for the 20 percent best kidneys. That means older people, even those just middle-aged, could lose out. "So it's not just that the 30-year-old needs a really great kidney. So does the 40-year-old. So does the 50-year-old, right?," says Lainie Friedman Ross, a bioethicist at the University of Chicago. "Maybe the 75-year-old doesn't need a kidney that's going to go 20 years. But you haven't given an ethical justification for why you're going to create this top 20 percent." Friedewald defends the new system, saying the formulas have been tested extensively. UNOS also plans to propose other changes that would make the system much more efficient and much fairer. Whoever's right, many experts say the debate over kidney transplants is a harbinger for other similar debates that are coming as the population ages and the pressure to restrain costs intensifies. "The questions about what to do with kidneys are not unique at all, I think, to the kidney situation," says Caplan. "It's a canary in the cave of thinking about rationing challenges that are certainly coming down the road." UNOS plans to take public comment on its proposal for three months before sending a final proposal to its board for approval. The soonest the new system could go in effect is sometime next year.